2016 3MT runner-up Diana Canals Hernaez always wanted to help people with their health. “I went through how I could do that. 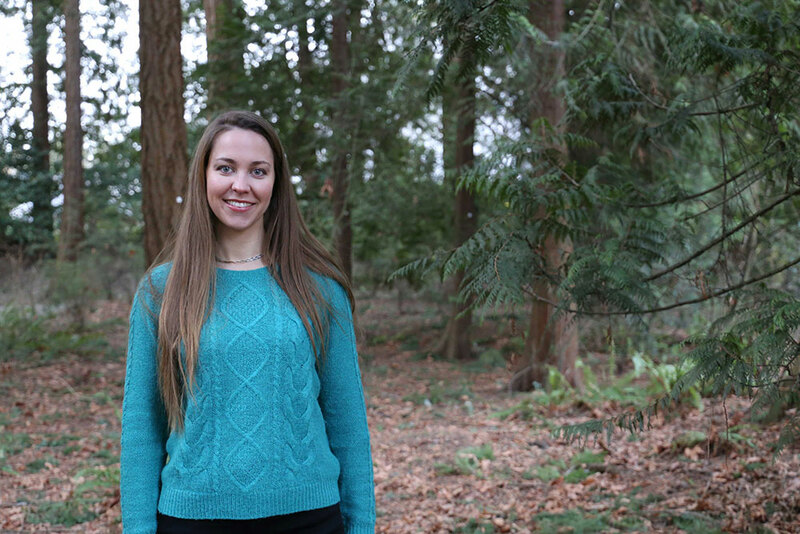 I did my undergrad in Biochemistry, but I wanted something more translational.” Today, she is a doctoral student in the Medical Genetics program at UBC, studying how to stop tumours from growing. Diana first came to UBC as a volunteer. One summer, before finishing her undergraduate degree in Spain, she was talking to one of her professors. He talked about the importance of being able to communicate well in English, if she were to make it in the lab, and suggested an internship at UBC. The next year, Diana applied for a scholarship and came back to work on the same project. She continued to come back, first for a masters and now for a PhD. “[My research] can help with cancer therapy,” she explained. I have always been intrigued by disease, especially cancer. During my undergrad, I became more and more interested in the biology, origins, and treatment of cancers. I decided to pursue a graduate degree because I wanted to contribute to the "puzzle" that is cancer by helping better understand the molecular changes that lead to a normal cell becoming cancerous, as well as to the development of potential treatments. I was fortunate enough to do one volunteer term and two summer studentships at UBC prior to the start of my graduate studies. During this time, I got to experience many of the opportunities and resources that UBC offers. This access to a multitude of resources and cutting-edge technologies to advance my research played an important part in my decision to come to UBC. In addition, UBC is situated in beautiful Vancouver, which is an incredible city to live in! To be completely honest, it was not any particular program at UBC that attracted me, but rather the research project I am working on and my current lab. It was only after making the decision to complete my graduate studies at UBC that I decided on the Medical Genetics program, primarily due to my supervisor’s affiliation with it. The thing that surprised me the most about UBC is the many resources offered to support graduate student development, both personally and professionally. I was amazed by the opportunities we have to learn and try things outside of our field of research (i.e. work learn opportunities, MITACS, professional development workshops, Health and Wellness workshops). I was also happy to see that there are a lot of graduate students with a passion to help their peers, whether by facilitating and organizing workshops, advocating for graduate student needs, or sharing their personal experiences in grad school. What I enjoy the most is the clinical translation aspect of my project. I am really passionate about applying our understanding of cancer progression to the development of therapeutics. My project allows me to pursue this passion and, together with some other programs offered by UBC such as e@UBC, I really feel that I am getting the training I need for my future career. The biggest challenge I predict will be making the leap to leave academia and entering the job market after I complete my degree. I have always been a part of academia, so it is scary to think about leaving and figuring out what to do next! Thankfully, UBC offers lots of resources to support graduate students that are about to graduate and enter the workforce. From career advisors to one-on-one resume and interview consultations and professional development workshops, there are a lot of people at UBC willing to help grad students with this process. My undergraduate degree in biochemistry has certainly helped a lot, as it gave me the background knowledge and understanding I needed to start my graduate degree. Being exposed to working in a lab and having the opportunity to do a few internships in my current lab before I started grad school also gave me a better idea of what I was getting into. Further, these experiences gave me the chance to gain expertise in a few techniques that I have since used regularly in my research. In addition, as non-native English speaker, it really helped to spend time in Canada perfecting my English (both written and spoken) before the start of my studies. I enjoy cooking, going to yoga, dancing, and meeting up with friends! Don’t isolate yourself in your research. It is very easy to get absorbed by your research and put everything aside for “just a few years”, but grad school is tough enough and you’ll need a network of people to support you so that you can excel. My advice is to surround yourself with a good group of peers and friends and to enjoy some “me” time occasionally. Also, I think is very important to take a break from the bench and attend some of the workshops or sessions that are offered by UBC. You’ll learn skills that can help you throughout your degree and in your future career. Podocalyxin is a protein that is normally expressed on the surface of certain cells, such as endothelial cells (vessels) or podocytes (kidney). However, in the case of certain cancers such as breast, ovarian, and pancreatic cancer, podocalyxin is overexpressed by the cancerous cells. Patients whose tumors express the highest levels of podocalyxin often have a worse prognosis and lower survival rates, suggesting that podocalyxin may be a marker of highly aggressive cancer cells. In our lab, we have shown that not only is podocalyxin a marker for highly aggressive cancers, but it also has a role in the growth and metastasis of cancer cells. When we abolish the expression of podocalyxin on cancer cells, they form smaller tumors and are no longer able to metastasize. For these reasons, we wanted to see if we could develop a drug that could target podocalyxin expressing cancer cells. In collaboration with the CDRD, we developed an antibody that is able to recognize tumor-specific podocalyxin. When this antibody is coupled to a drug to make an antibody-drug conjugate, (ADC), we are able to target and completely eliminate tumors in an in vivo model.